Yes, we start planning class Valentines early at our house. I am sure that is no surprise to the readers who have been with me for awhile. I always need a Valentine of some kind for my students, and Miss Priss and Mr. Star Wars are still at ages where they bring in Valentines to distribute to their whole class. While it would be the most efficient to think of one type of card and mass produce it, the three of us usually make different kinds of Valentines for each of our classes. This year, Miss Priss is filling small colored paper sacks with assorted jelly beans. 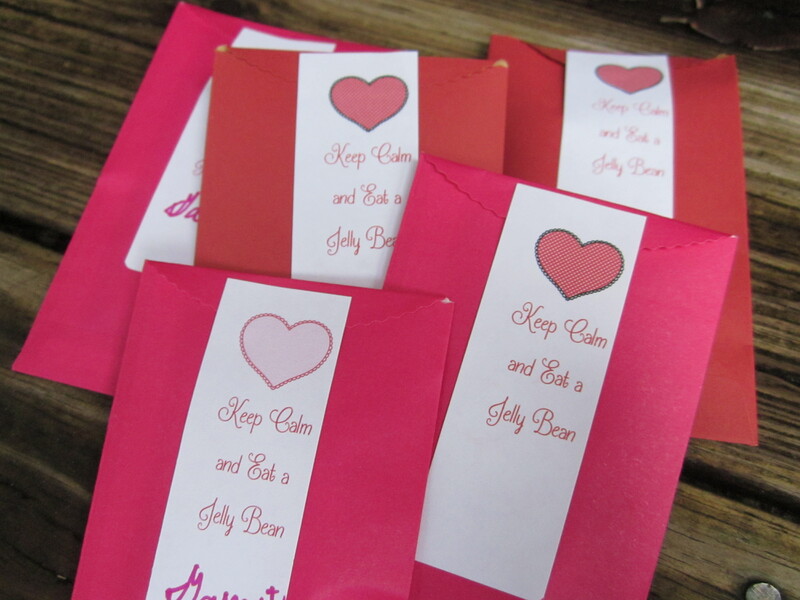 We closed the little bags with a label that says, “Keep Calm and Eat a Jelly Bean.” To finish, Miss Priss signed her name at the bottom of each label. 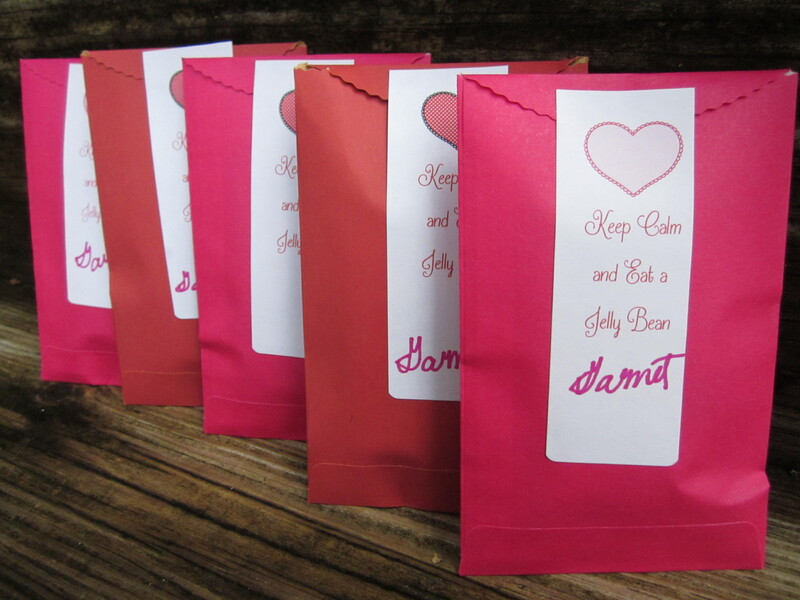 Print Keep Calm and Eat a Jelly Bean Red Labels or Keep Calm and Eat a Jelly Bean Pink Labels on Avery 8161 labels. The labels print 20 to a page. 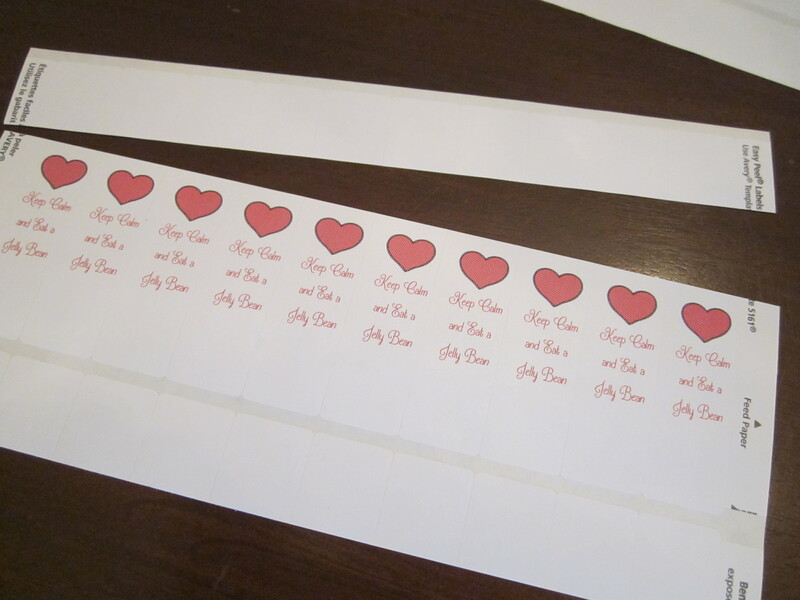 We cut about one inch from the top section of the label above the heart using our paper cutter. 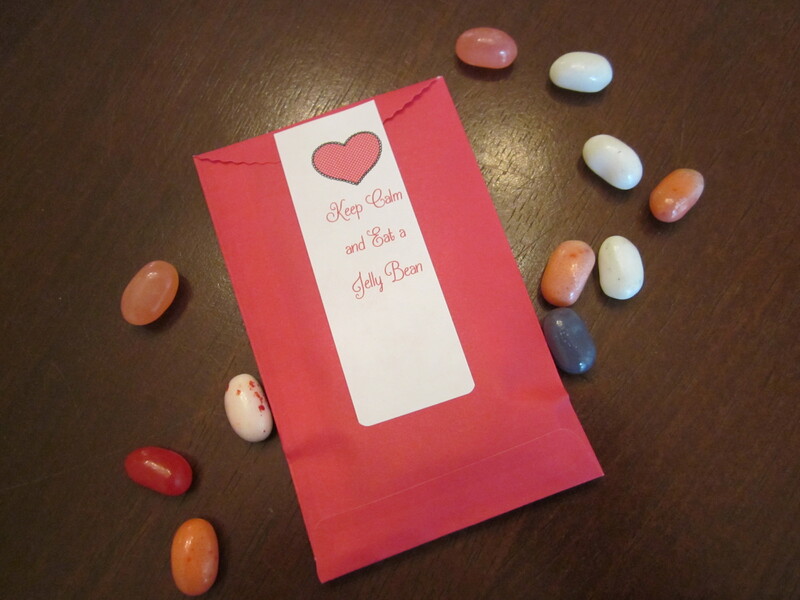 Sign your name in the bottom section of each label before attaching to the jelly bean bags. 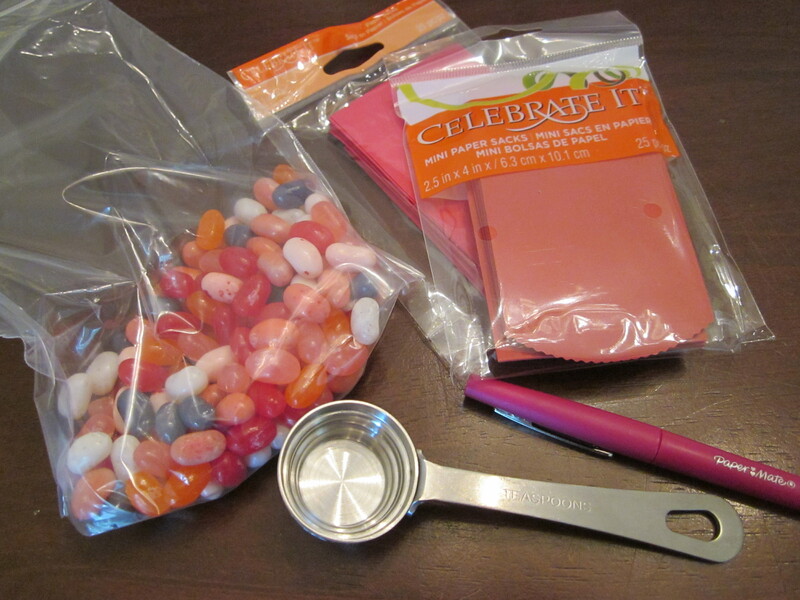 Fill each sack with ~one tablespoon of jelly beans (don’t overfill the little bags). Fold over the top flap and close with the sticker label. If you don’t have the Avery labels, you could print the Keep Calm and Eat a Jelly Bean Red Labels and Keep Calm and Eat a Jelly Bean Pink Labels on copy paper. Cut the labels apart, fold the top of the bag down, place the label at the top over the folded section of the bag and staple the bag attaching the label and closing the bag.